Developer Attu Games has announced that epic action adventure game Feudal Alloy is Coming to Steam, GOG and Nintendo Switch on 17th January, 2019 via Nintendo eShop for Switch and Steam for PC. Feudal Alloy will come to PS4 and Xbox One very soon. Attu Games has also released a new release Trailer for Feudal Alloy. Watch the Feudal Alloy - Release Trailer below. 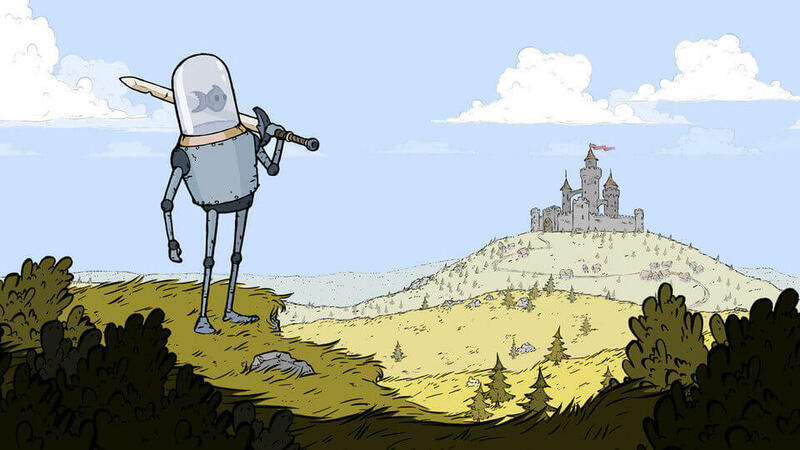 "Feudal Alloy is an epic action adventure with fish-controlled medieval robots! - Loot, a lot of loot!